Ray is an accomplished pianist although he insists that he ‘only knows what he knows!’. One of Ray’s first liveries which is still used by bakers Dolphin on some of their current vehicles. Vehicle design is also something that Ray has been involved with. 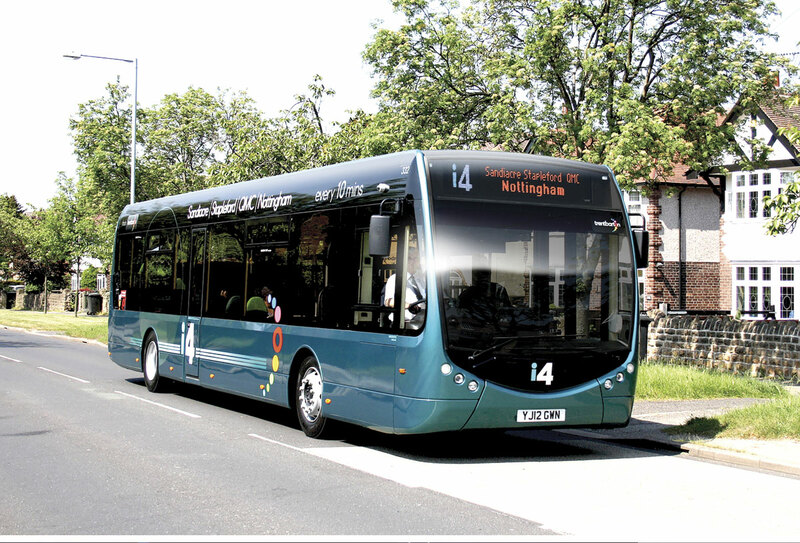 An example of this is the Optare Tempo SR i4. Best Impressions offers a full marketing suite. Portsmouth Park and Ride were an example of this as the vehicle makeover and (right) bus stop material show. Best impressions also offer web services as this picture of trentbartons various media platforms demonstrates. The most recent book that Ray has edited and designed. Ray loves all things feline and so this Yorkshire Tiger concept, now a subsidiary of Arriva, was one he particularly embraced. 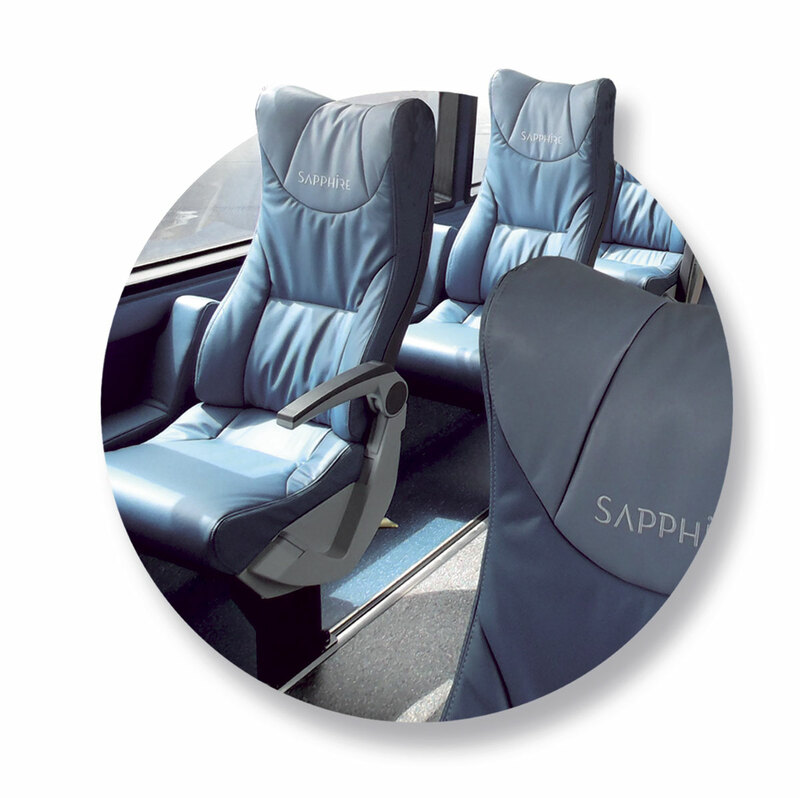 Arriva specified the colour and shape of the seats, the rest of the design was down to Ray and his team. When you think of influential people in the bus industry of pensionable age, Ray Stenning isn’t the first person that springs to mind, but with a successful career spanning over 40 years, he more than qualifies. 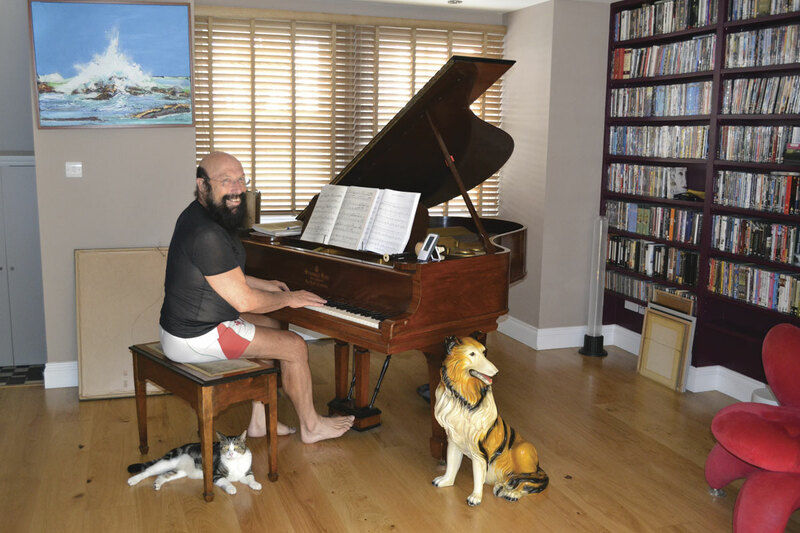 Often clichéd as a ‘colourful character’, much to his chagrin, Ray’s vibrant personality is often misunderstood and I was given the opportunity to spend an afternoon with him at his home offices in West London to find out what lies beneath the exterior. What was immediately apparent to me is that Ray is a very frank and honest person which I have no doubt has attributed to his success and caused irascibility in some business relationships. He is aware that he is ‘perceived in a certain way’ and has purposely done little to dispel these opinions as he strongly believes that people should ‘accept others for who they are and be true to yourself’. He has come across opposition and prejudice within the industry but rather than letting this be a reason to fail, he has embraced the challenge, proving that he is more substance, not semblance. Ray is inquisitive by nature and embraces new subjects and interests with enthusiasm, so if the job meant sitting around waiting to pick people up, he would happily absorb his time in a book or engage with his surroundings. As well as Wivey, he drove occasionally for Berrys Coaches of Taunton and regular trips included taking groups of school children to the Brecon Beacons, which meant he could get paid to go mountain walking in stunning scenery. In 1981, Ray met Tim Harrison, who had recently set up his own business, Harrison’s Coaches near Minehead. Ray became a freelance driver for Tim and they became firm friends. Tim was killed in a car accident the following Christmas and the business was closed. He applied for a driver’s position with Tentek in Sidcup in May 1982 and said to the owner as he took off his helmet, ‘If you don’t like the look of my face, say so and we can prevent wasting any more of each other’s time.’ He got the job! This was Ray’s first venture into Europe and driving ‘on the wrong side of the road.’ He fully embraced the culture and, in his words, ‘went native’, even wearing clogs like all the truck drivers and carrying a ‘man bag’ for all the different currencies, to the point where he felt ‘European.’ He loved the people he met and the places he visited, particularly the architecture of Venice where he visited regularly, but it was his brain that wanted more and Best Impressions was born out of that. He knew it was now time to stop messing around and do what he was always meant to do and use his natural talents and Graphic Design training. He had previously done odd bits of design work for Harrisons and Berrys. He decided to move back to London as, after Europe, Somerset held little interest and he ‘just couldn’t settle’, plus he had far more friends in the capital. He was ‘headhunted’ by Bakers of Weston Super Mare who had seen the work that he had done for Berry’s and they commissioned a new livery, which Bakers Dolphin still use today. Best Impressions is sometimes misunderstood. It is not just Ray but a team of dedicated experts. Best Impressions is a complete one-stop design, branding, marketing and advertising agency, specialising in and understanding public transport, able to deliver anything from full branding, livery and interior design, a comprehensive advertising campaign through to print, online and website. For example, with Portsmouth Park and Ride, the team were responsible for the entire ‘marketing suite’ such as bus stop flags, on-site signage, publicity, livery and bus stop marketing. 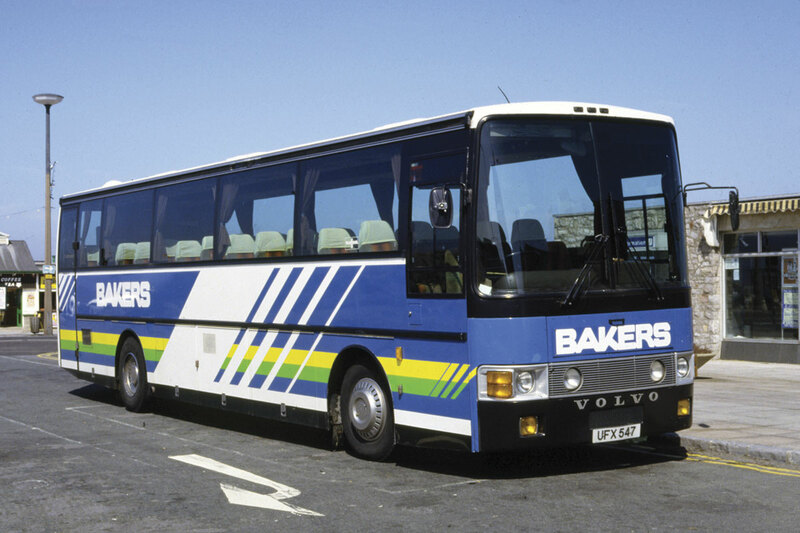 Even their first major project with Baker’s was more than just a livery design and included marketing material for the new route that they were introducing. That said, someone once remarked to Ray that he has ‘produced more bus, coach and rail livery in the world than anyone else’, which Ray believes could be the case and is something that he is very proud of. I asked Ray how much he is given free reign and how much is dictated by the client. He explained that there were three types of client; those that say ‘You’re the expert, get on and do it, that’s why we have come to you’, those that dictate to him exactly what they want (Ray admitted that these sorts of relationships rarely work and he is not afraid to tell clients when they are wrong) and those that he refers to as ‘the meeting of the minds.’ He spoke of the strong relationships formed with people such as Roger French, Alex Hornby, Martijn Gilbert, James Freeman and Nigel Eggleton, where they have worked together, pooling their ideas, with Ray describing himself and the team as ‘the conduit to channel the thoughts through.’ He puts these successes down to mutual trust and believes that intuition also plays a key role, citing it as ‘a very good, underused business tool to use.’ He thinks that sometimes businesses become too dependent on research which can stifle creativity and innovation. Initially, Best Impressions was just Ray, but he has grown organically and, including himself, there are now ten employees. 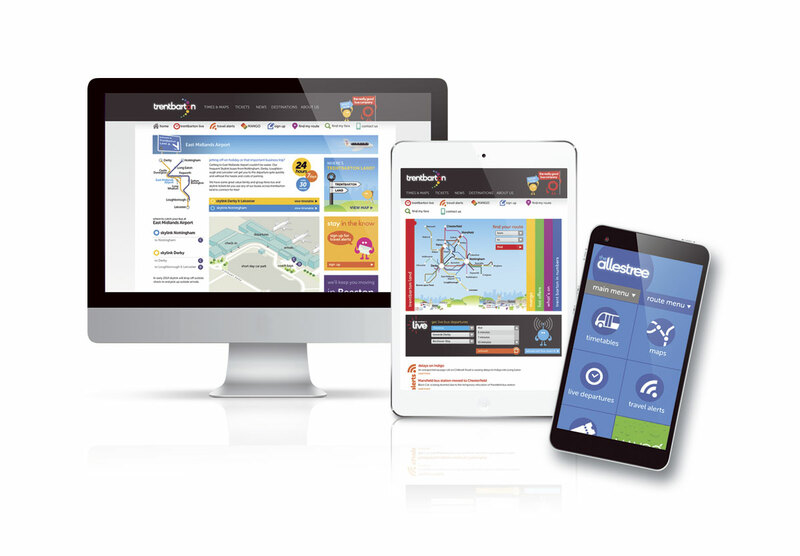 Albert van Reenen is the Office Manager and essentially runs the business on a day to day basis and within his design team are web experts and those with specialist technical knowledge. Very little goes through the company without Ray’s knowledge but he has faith in his designers and knows that he has a very good team. He is keen for the industry to know that although people will say ‘Best Impressions is Ray Stenning’, this is only partly the case. Everyone works in much the same way as Ray, there is no formality although they do have their ‘creative arguments’ What he has instilled in his team is that they have to think of the vehicle as a real, four dimensional, moving object. So often a bus is just thought of as a rectangle with wheels. When he first started designing liveries, before computers, he would trace an outline of the bus, make numerous copies and start colouring in until he was happy with the concept. Now, junior designers are encouraged to print off a photograph of the vehicle to have alongside them for reference. Best Impressions’ ‘Great Escape’ campaign for London Midland won the Rail Professional Marketing Campaign of the Year award several years running and a number of bus marketing campaigns have won at the UK Bus Awards. Ray was quick to point out that although he is on the Management Committee at UKBA he doesn’t have anything to do with the voting or short listing. His involvement is to design much of the publicity material. I first met Ray at one of the award ceremonies and sat on the same table during lunch. I made the ‘rookie mistake’ of saying, ‘So Ray, what does one wear under one’s kilt?’ to which he proceeded to take me to one side and show me – It’s something I won’t forget in a hurry! It was around the time that he first stated driving, that his editorial career began. He researched and wrote a number of articles, which he had published before taking the leap into books. One of the first (actually the first he is proud enough to admit to) was The National Bus Company Album, in 1978 followed by ‘Years Before National-1948-68. Both were written, designed and published by Ray and were considered to be landmark books at the time, in terms of style, photography and design. 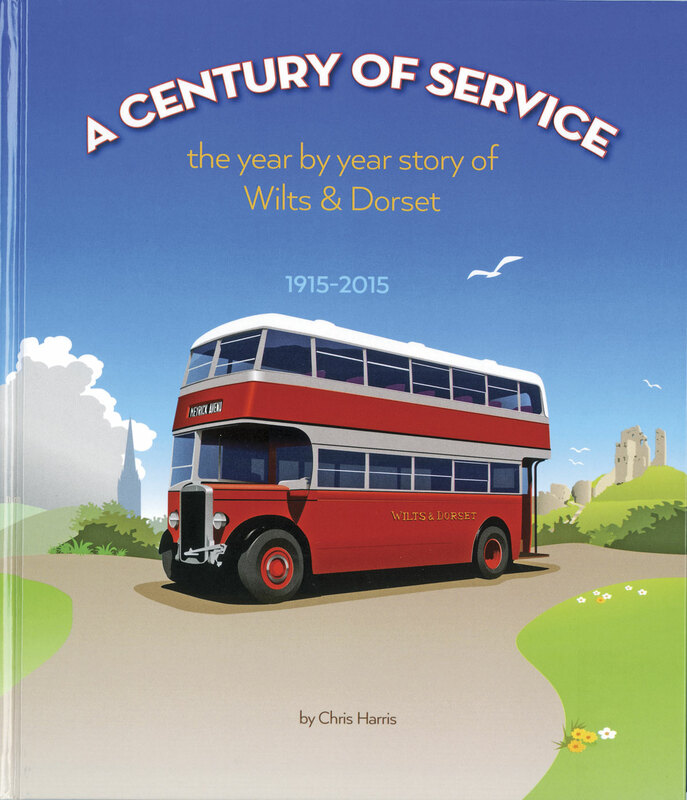 More recently, Ray edited and designed A Century of Service: The Year by Year Story of Wilts & Dorset – 1915-2015, which has received very positive reviews, including from Bus and Coach Buyer’s Editor, Stuart Jones. He became Editor of Classic Bus after Gavin Booth retired. Ian Allan Publishing owned the title at the time and wanted to franchise it off as it wasn’t particularly profitable for them to keep and Gavin re-launched it as Classic Bus along with half a dozen directors, Ray being one of them. Ray is very passionate about public transport and is a member of the Ten Percent Club, a group of like minded industry professionals that believe in the role of public transport and meet regularly to understand social and technological developments and how we should be responding to them to make public transport a more desirable choice in the future. As a regular cyclist in London, the subject of how buses and bikes can work in harmony was discussed. He believes there is room for both, but it is a just a handful of cyclists that behave badly that give cyclists a bad name, and that both cyclists and bus drivers need to be more aware of each other’s needs. He went on to say that efforts should be concentrated on getting other traffic off the roads, such as unnecessary cars. If you take the time to look at the ‘how to find us’ section of the Best Impressions website, there are expansive directions using public transport and suggests that if you are travelling by car, ‘you will have to find your own way.’ He commented that the industry was particularly bad at holding meetings in areas that weren’t accessible by public transport and if they were, details of connecting transport to the location was often unavailable. He believes vehicle manufactures and senior managers should be made to go without their cars for six months and ride on public transport, though realises in large territories this wouldn’t always be possible. He said that the industry all want people to use their buses, but often have no idea what the rider experience is like. Ray has also been involved in the styling of vehicles, including the Optare Tempo SR and previously some work for London General and East Lancs tidying up the front and back of the National Greenway. He is frustrated that bus and coach manufacturers sometimes appear to see design as a necessary evil, rather than the starting point, and fit passengers around the engineering rather than the other way round. He freely admitted that he can be perceived as a thorn in the manufacturers’ sides, but believes some have grown to love what he does for their products! What many people don’t know about Ray is that he is a man of cultural tastes and very knowledgeable on the things that he is passionate about; in particular architecture, art, opera and classical music. His enthusiasm for these subjects was inspiring. Exploring England and reading a lot ignited his passion for architecture and he has many books on the subject. He has a fondness for vernacular architecture as much as the showstoppers and will often research a place before he visits to give him a better understanding. One of his self confessed ’heroes’ is Nicholas Hawksmoor and has a particular appreciation of parish churches and majestic cathedrals, despite freely admitting that he ‘hasn’t got a conventional religious bone in his body.’ He described some church architecture as ‘a supreme example of what ordinary men can achieve’. Ray likes to sense the atmosphere of places and get a feel for all the people who have lived there and all the things that have happened over the years and have left an invisible mark. He has been a life member of The National Trust and English Heritage for many years and will purposely make detours during business trips to visit a property. Another pleasure is art galleries and, although he has various favourite paintings dotted around this country and others which he likes to revisit, he loves to return to Edinburgh to see Monet’s Poplars on the Epte or the outstanding Pre-Raphaelite and Victorian paintings in Manchester and Birmingham. Opera, however, is his greatest passion, although it is not something that he has indulged in over the last couple of years. He loves live opera, which he describes as thrilling and has seen many performances here and abroad, with a particular passion for Puccini, Mozart and Wagner; the most memorable being at the open air Odeon of Herodes Atticus on the side of the Acropolis in Athens. He saw an advertisement for Tristan und Isolde while there, starting at 9pm and assumed it would be the highlights but it was the complete opera. ‘The ravishingly romantic setting, the sublime music, story and singing, all under a warm star-strung Mediterranean night sky,’ was so intense, it rendered him emotionless and speechless and it is a memory he says will go with him to his grave. Don’t be entirely deceived though, Ray does watch television too, although he can’t bring himself to switch on until at least 7.30 or 8pm. He enjoys occasional documentaries and crime thrillers and even watches Coronation Street, having seen the very first episode, but admits it’s not what it was. Ray is an early riser and loves the solitude of dawn, spent in silence with his cats. Officially only one now belongs to him but he has a knack of adopting neighbouring cats! He doesn’t take holidays so much now but if he is going somewhere for a meeting he will extend the visit to enable him to explore and absorb the culture of the area and fulfil some of his passions. I asked him if he had a ‘bucket list’ of things that he would like to do and he explained that ‘he had no great ones and no regrets. He was reasonably content with life and not really yearning for anything.’ This may appear a rather arrogant statement but Ray certainly doesn’t come across that way. When we spoke about everything he has achieved in life he was very modest, saying that ‘it is ephemeral’, but continued by saying that he would like to think that he has made a small difference to a number of people. 2. He has a Steinway grand piano. He played for me part of Beethoven’s Moonlight Sonata, and Satie’s Gymnnopedie. I was impressed. 3. He owns a BMW Touring motorbike, but rides it less often these days. 5. He would love to be able to sing opera, not for any accolade, but just for the thrill of it. He wasn’t a bad boy soprano, but couldn’t sing a note after his voice broke. 6. He has a strong dislike for people who think the rights of the individual are more important than the needs of society. 7. Marlene Dietrich once kissed his hand.